RS BERKELEY YAN FLÜT UNIVERSTY SERİ UFL600. Flüte yeni başlayanlar için önerilen RS Berkely flütün Ambişür, Ağızlık, Gövde, babalar ve Perdeler Gümüş kaplamadır. Yeni başlayanlar ve orta seviye için tercih edilen bir flüttür. 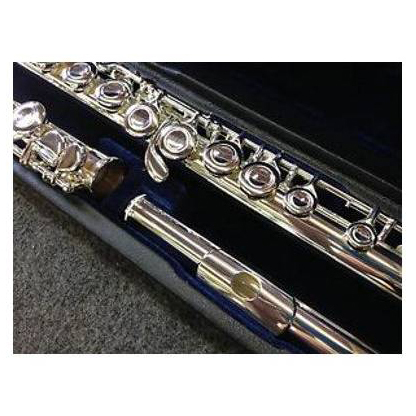 The University series Student Flute is the perfect fit for any beginning band student. The durable design and excellent tone make the UFL600 the perfect choice for the student player. The flute features a silver plated head, body and keys, and stainless steel springs. The flute comes with a durable case and cleaning rod. The University Series by RS Berkeley offers an economic solution to beginning musicians with a brand that Band Directors trust. The University Series is the perfect match for beginning student by offering quality, durability and advanced features at an affordable price. All of the instruments in this series are designed specifically to aid the progress of beginners. The sensible pricing of this series allows a beginning student to have the pride that they own their instrument, rather than renting one for close to the same price. In accordance to the high standards that RS Berkeley places on all of their instruments, each and every University series instrument is inspected by shop specialists and tested for intonation, tonal quality, and playability. - includes durable case and cleaning rod. -Firmamız tarafından fabrikasyon hatalarına karşı 2 YIL GARANTİLİ'dir.